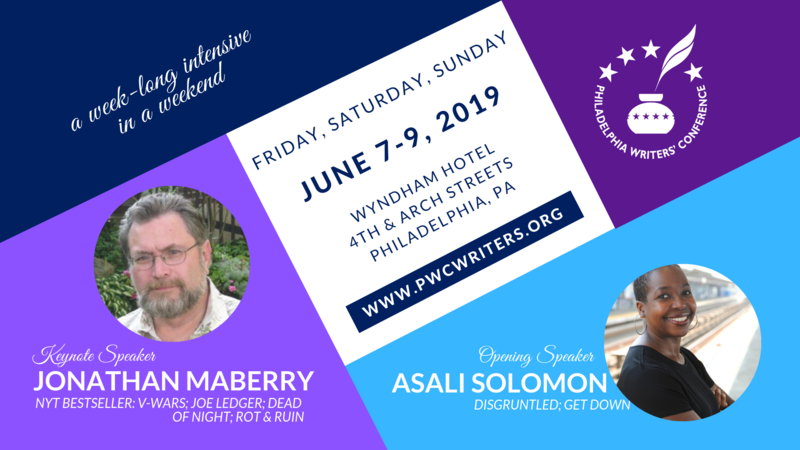 Welcome to the 71st Annual Philadelphia Writers' Conference. We're excited to have you join us for a weekend of learning, networking, and inspiration. You can find more information about the conference, including fees, scholarships, our 2019 classes, and speaker bios by using the links at the top of this page. When you're ready to register, simply hit the registration button on any of these pages and the system will walk you through the steps needed to choose your classes.